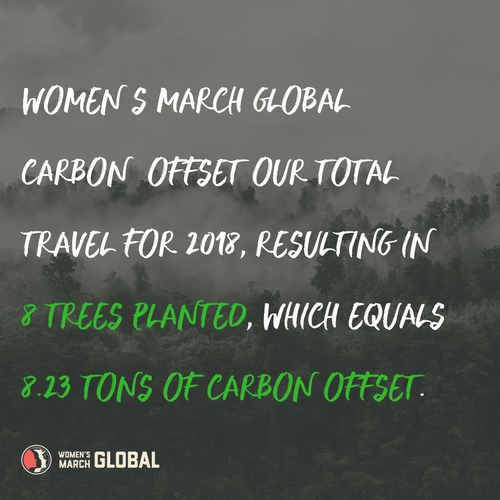 Two years ago women and allies around the world finalized plans for the historic Women’s March. 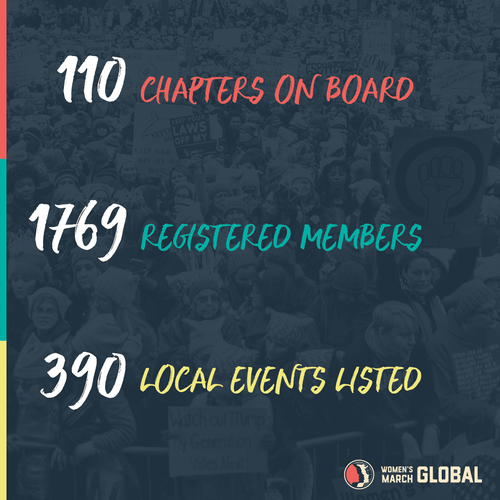 The strength and commitment of organisers on that first march - January 21st, 2017 birthed Women’s March Global. The movement has grown bigger than any president or regime. It is uniting grassroots organisations and organisers around the world. 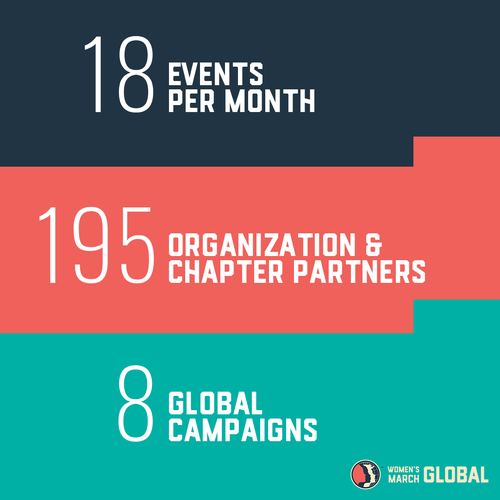 In order to succeed in connecting despite geographic distance, Women’s March Global invested in a new online Platform that now serves over 110 Chapters and thousands of people across the globe. We are sharing our stories, educating our communities, and advocating for change. This is how we advance human rights. We are listening. We are advocating. 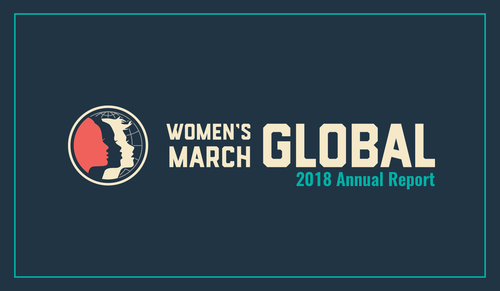 The 2018 Women’s March Global Impact Report shows the power of you, our Global Community. 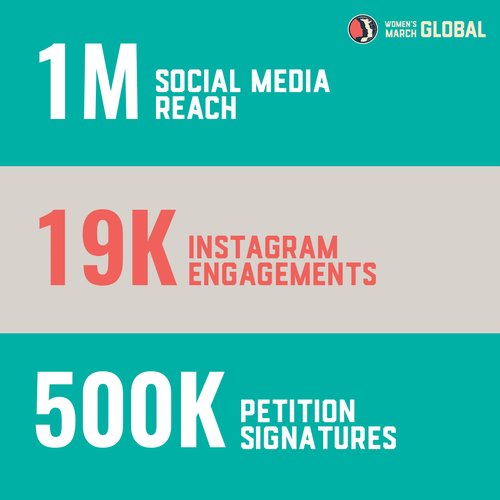 Women’s March Global is not just a moment in time, it is a movement that is uniting people across borders, languages, and countries. It is a global spirit that is committed to work for the collective freedom of ALL people.